Bellabe™ Facial Hair Remover removes facial hair by trapping the unwanted hair in its precision coils and lifting them by the roots in a simple Bend and Roll movement.mask. the only complete, facial rejuvenation and detoxification peel-away black mask. Bellabe™ Facial Hair Remover works like a tweezer except that it removes a small area of hair at a time so it is much faster. No chemicals are used so anyone can use Bellabe™ Facial Hair Remover as often as they like to remove facial hair. Hair eventually grows back finer and softer, thus reducing the need to remove facial hair as often. Flawless hair-free skin is achieved in a few minutes, without the need for a mirror. Bellabe™ Facial Hair Remover is the perfect beauty tool to bring for travel and for the last minute touch-ups. Natural and hypoallergenic. Less irritation compared to other facial hair removers. Convenient and Easy to Use in the privacy and comfort of your home. We Guarantee You'll LOVE the Bellabe™ Facial Hair Remover or Simply Ship It Back To Us Within 60 Days & We'll Refund Your Money! 2) Roll (Turn) the handles between your fingers, in an outward and then inward continuous motion. You will feel a plucking sensation as the hair is removed from the roots. Safety Warning: Use only as directed. Bellabe™ Facial Hair Remover is designed for use only on the upper lip, chin, jawline, cheek & neck areas. Do not use on eyebrows. Do not use on irritated, cut or broken skin. Do not use on eyebrows, eyelashes or bikini areas or any other area not specified. 2. 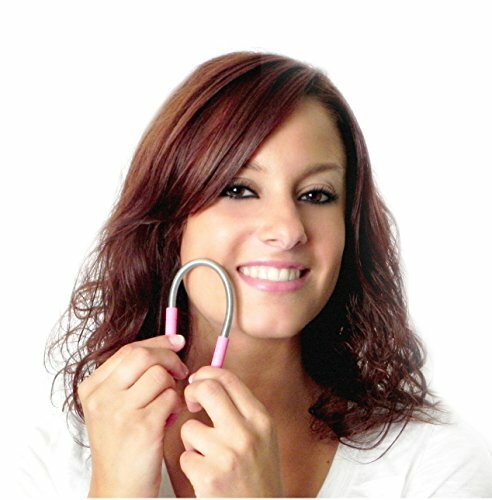 Where is Bellabe™ Facial Hair Remover Made? Works well and isn't super painful. I think it's about as comfortable as threading but much cheaper. I am unable to wax due to skin sensitivity. This is the perfect solution for me. No irritation. Doesn't hurt much. Anxious to see how the hair grows back though. I've only had it a couple days. I bought this for removing upper lip hair. I've been using a cream depilatory for a couple of years now, but it started giving me chemical burns. After reading the reviews for this tool, I was a bit nervous it would be more painful than I could stand...all the worry was for naught. It's definitely uncomfortable, but no more so than tweezing is. It's been a couple of days since I used it and haven't had any breakout issues at all. Loving my fuzz-free upper lip situation! I was quite surprised how well this actually worked...it hurts at first (just like waxing or plucking though, you get used to it). 10/10 will keep using. Let's be real here... you are pulling hairs out by the root with this device so of course it hurts, but it's so worth it! This thing gets the small, fine hairs, the longer course hairs - you name it, if it's a hair, it doesn't discriminate. I find that it really doesn't hurt too badly on the chin and neck area, but it definitely hurts on the upper lip area. My hair is so fine and blonde that plucking was so frustrating and waxing always left my skin irritated and caused little bumps, but with this I can just sit and watch TV and make a few passes a night with it and it keeps my skin so smooth and hairless. i love this product very easy to use. i used to wax my upper lip and would have all the sticky wax on my fingers and it was very hard to get rid of but now with bellabe hair removing is so much faster easier and best of all cleaner! i do recommend. Let me start by saying I have been living with coarse/rough/darker facial hair since I was in high school (I'm almost 28). I have fair skin and red hair, so I've had my share of irritating skin problems, and I was slightly worried when I ordered this noticing a few reviewers who complained of skin breakouts after using this product. I am SO happy I went ahead and ordered anyway. Here are some things you might want to know/consider: This product (essentially) tweezes or plucks the hair out. The reason why it's so helpful is because instead of doing one or two hairs at a time, like with traditional tweezing, it can do an entire area of hair in one swipe - HUGE time saver! As long as you're consistent with the technique (read the instructional pamphlet), it works wonders, with no additional pain outside of regular tweezing. Waxing, for me, was a huge production/cleanup and ended up being a big pain. Tweezing, as I've alluded to, works, but takes FOREVER. To me, this product is the long-awaited solution to stubborn, unending facial hair. And it takes mere seconds, as opposed to 15 - 20 minutes! Be aware, if you are not used to tweezing hairs on your face, there will be pain, redness, and maybe a little irritation (I'd assume - I had none). If you are currently tweezing and looking for something better, BUY THIS NOW. I LOVE this!!! Soooo much better than wax. No more rashes or irritation on my sensitive skin. Much less discomfort than wax!!! The more you use it, the less sensitivity you feel. I use this every couple of days. Quick and easy 'menopausal fur� remover. You don�t even need a mirror. Just cleanse your face, roll it over your trouble spots until the hair is gone, and apply aloe gel afterwards. I typically use it before bed. It does not get every single hair, I still have to pluck a couple here and there, but it has been a HUGE time saver, and so worth it!! Works as promised. Worth every penny. Easy to use. Gets rid of the annoying face fuzz. This tool made a huge difference for me in many ways. Over the course of my life, I've tried everything from tweezers to waxing to laser treatments, and even spent my early years (shows my age) with electrolysis. As most people know who want to remove facial hair, it can become something of an obsession, and while this one can be as well it's so much more thorough, inexpensive and time efficient than the rest. This rolling spring grabs 95% of the hairs, and after practicing you can even get the fine or newly emerging hairs with a little effort. It has been part of my daily routine for over a year, and I actually use it intermittently over the course of the day. I read through a whole lot of the other reviews, and I'd say that it's best for someone that is used to removing hair on their face. No, it did not make my skin red or bleed. No, it was not excruciatingly painful, and my pain tolerance is moderate. For the first time in my adult life I have the amount of hair on my face that is acceptable and even attractive to me. Changed my life. I will never have to wax my chin or lip again. I have a hate-love relationship with this thing. Works really well, I have reduced my bill in waxing to zero and my upper lip area looks fabulous. But using this thing hurts. It takes sometime to actually get the hang of it, but I can say I have mastered the use pretty quick. Is a few seconds of pain for a hair-free upper lip so I would say is worth it. I can recommend with the disclaimer that it will be a little bit painful to use. I love the Bellabe Facial Hair Removal. It does pull a bit but who wants unneeded hair? You can use it any time. Let�s just start with - WOW. I consider myself to have a fairly high pain threshold (labored my first of three sons for 27 hours without meds). I found the pain to be quite intense with this little unassuming tool. We�re talking instant tears in my eyes before I could complete the first twist of the wand. And it�s not like wax where there�s one quick, painful swipe and you�re done. Oh no. This medieval torture device will give you Stockholm�s Syndrome in that it will inflict great pain, yet you keep going back to it to finish the job. BUT! If you can power through (I did; I will win this round you little evil device) it seems to work. Your skin will get pink/red from the hell it went through but it will subside. I�ve only used it once so far so I�m not sure how long it�ll last (I�m sure everyone is different anyway) but suffice to say I�m not looking forward to round #2...but I�m invested enough with the pain I endured that I need to see this through for a while. That or until I pass out from the pain one day...lol. I have not just one but TWO of this product. One sits by my computer. It is safe, fast and easy to use. the other one stays in my purse. I have bought all my friends this and I even sell it on my website. Big fan! I like this product. Fast shipping and I received it on a Saturday. Gets those pesky hairs, although underneath the chin is a little more difficult than the other facial areas. Hurts a tad bit, but it's not as bad as I thought it would be. I gave this four stars because the wand is a little flimsy. Would be great if it was a little sturdier. Very easy to use. Love this thing -- it knocks my peach fuzz and upper lip hair down so I'm not so self conscious about it. I did have to get a replacement after rinsing mine out and putting it back in its storage tube wet -- it rusted :( Lesson learned. It's going to take some time getting used to which is acceptable. So far, I'm unable to achieve a completely clean look, even if I go over the area multiple times. It took me a couple of passes to get the technique down, but after that, the BellaBe was very easy to use. I usually never write reviews however, this product is great and I'm so glad I heard about it! Yes there is some pain, but all hair removal hurts. I've never described a bikini wax as enjoyable. Lol. I usually go threading for facial hair removal and compared to threading, I consider this painless! Also no red irritation for hours as I experienced with threading. Being able to do it home as needed is such a convenience. Highly recommended! Works as advertised. Hurts. But do it right after your shower and you'll thank yourself. Much easier to maintain than plucking or threading. I've used depilatory creams for years to remove unwanted facial hair, but lately have been worrying about the chemicals they contain. Recently I learned about Bellabe on a shopping channel web site and became curious as to whether it would be a viable alternative for me. I decided to toss one into my "cart". After receiving and trying out the product, I find that it does work. Usage does involve a slight stinging sensation, which will hopefully lessen with time. Prepare for pain. Because this thing is just shy of medieval torture. I hate pain. But I LOVE this product. Not only it is highly effective, it�s also extremely satisfying. When you finish you can see all the little hairs in the coil. Even my husband lets me use it on him. And the pain gets better. Or I�m just willing to tolerate more. Either way, for a non- disposal hair removal system with longer-term results, I pick this. Writer�s note: I�ve only used this on facial hair. I�m not brave enough to try below the belt. Yet. This product rocks! Takes a few times to get used to it but once you do it�s amazing! I love it! So, I took a risk with purchasing this item but it turned to be a risk that was very well worth it. I had never heard of something like this, I was looking for something to help me thread my facial hair and I came across this. I was curious to know what it was since most of the reviews were good, I watched videos on how to use it and most of them Said it was a little painful so I was skeptical about it. I went ahead and purchased it and it's amazing. Its not big, which makes it easy to carry with you and its also easy to use. It didn't hurt as bad as I thought it would, it was just a quick little pinch and even then it didn't hurt that bad. I would definately recommend this product to any girl who wants to get rid of their facial hair. It's inexpensive, quick, easy to use, removes hair from root and it's small. Thank you bellabe!!! Finally something that works. I love this thing. It really is great. I wish I could manipulate it better to make it work on my chin. Otherwise, it's stellar! Works great, just as advertised. Yes it stings a little, but so does waxing or tweezing your hairs. The price of beauty! I have to say, I love this thing! As a dark haired olive skinned girl I've got a 'stache that just keeps giving. I was using wax strips about every 2 weeks and they missed a lot of the baby hairs and I always had to go back in and pluck a lot of it. This baby gets every single tiny hair. I'm not gonna lie, the first go through hurts, a lot. This is coming from someone who has been waxing and tweezing since the age of 12, but after a few go's at it it just stopped hurting at all. Guess my skin toughened up, or all the little baby hairs are gone so it's not pulling so much at a time, but anyhow no pain now! I think it hurts so bad because you're pulling them out kind of slowly, and like I said, it gets every single hair ever in it's path. Super glad I don't have to buy wax strips anymore, very happy with my purchase. I just wish I could use it on my eyebrows! What a clever little device! I use it for my upper lip so I can catch all the peach fuzz and other stray hairs that crop up. It's easy to use and if you're used to waxing/plucking, it doesn't really hurt. Works well. I use it about every 2 weeks or so. it's very effective. My skin is very smooth and there isn't any residual pain or irritation like I would get with waxing or plucking. Overall, not nearly as painful as expected, and far more effective than anticipated. Would recommend. Exactly what I expected. I received the purple and have been using this for several months now. The quality is great and I like the container so I can pack it when I travel. I use it for my upper lip and yes, it hurts a lot but it does the job. Usually I need to go in with the some tweezers and get a stray it had trouble picking up but overall I'd but it again if I lost it. It takes a minute to get coordinated on the twisting, but once you do, every hair is gone. It hurts a bit but I'm sure it'll get less and less as the hair thins. Anyway, I wish I had found this years ago, it works have saved me a lot of money in threading. Highly recommend! I just got this item in the mail today, and immediately put it to use. I love the product. It was mildly painful, but nowhere near unbearable. My husband could see the difference before and after, and I was thrilled to see hair trapped in the coils with nearly every pass. I do wonder if over time the product will lose tension and no longer be effective...makes me want to order a lifetime supply just in case! I totally recommend this tool, much more efficient than tweezing, and no long term side effects like scar tissue or damage to skin from waxing. If I can find some way to convert this for use with the bikini line, I will be all set! buy this bellebe product, it is worth the investment. perfect for removing unwanted facial hair. i use this in addition to tweezing. this gets all the fine hairs that are a pain to tweeze. total life changer! After reading the glowing reviews, I decided to try this. All I can say is..........WOW, it REALLY works! In minutes, I removed hair from my upper lip, chin and cheeks. Was it painless? No. Was it any more painful than a wax - not really. It really wasn't a big deal. Hint: Watch TV and get distracted when you use the tool, and you'll not concentrate on the tingling. I am very happy with my purchase, and the performance of this product. I'm blonde and have very fine facial hair (except upper lip) and the Bellabee handled it all. No more money spent on waxes, yea! The leaning curve on using this takes just a minute or two and the results are stellar. 5 Stars! This thing is awesome! Just the facial hair removal tool I�ve been looking for! It takes no time at all to get rid of unwanted facial hair, easy to use, and much better than any product I�ve ever used. Its less painful than waxing, but there is still pain. Its an easy way for remove facial hair. I love this product! I was apprehensive to buy this but it works great. It�s so simple and much cheaper then having to make appointments to wax your facial hair. I would recommend this product. I never thought this product would work, but I saw so many favorable reviews, I could not resist. I had been using a depilatory for years. It was smelly, messy and results didn't last long. I've been using the Bellabe for about a month, and it's the best thing. It stings a lot (no worse than waxing), but the results are well worth it. My only regret is that I didn't find this product a long time ago. easy to use with minimal redness & only the expected amount of pain. this really does remove the hair. i use it for upper lip hair removal and it does such a good job. you dont even need to use a mirror! it does hurt! its like tweezing. I had never used a device like this before, but now I'm addicted! It is very easy to use. While it is kind of painful, it's not like the pain lasts and it's a lot better than waxing. The redness on my face went away overnight, so I would recommend using it before bed. I have tried waxing, plucking, other tools (Finishing Touch, what a joke) and when I received this I was so excited just after one use. It does the trick. After menopause I started getting more hair on my chin and lip. It's disgusting. Then one day my sister told me I had a lot of other hair that needed removal (she opts to shave everyday). But now in one sitting, it was all gone in an instant. It hurts a little under the nose but so does plucking. But well worth the money and time! I keep using it because you can feel it take out even the smallest hairs. My face feels so and smooth. I am telling everyone I know how good it is. Won't be without it. My daughter tried it and all she said was "WOW!" I love this. There is a little bit of pain, but I wax so I'm kind of used to it. This is so much faster than plucking and I feel more confident being able to use this when I don't have time to wax and this actually grabs more hair than wax too. Don't wax much anymore thanks to this!! As I've aged I've also acquired some upper lip hair that I don't prefer. I use this tool once a week to ensure I don't have any pesky growth of hair in that area. You can definitely feel as the hair is yanked out but it isn't less tolerable than the tweezers and it works much faster. I've also used it for a few strays under my chin. Love this thing. It grabs hair course or thin. Great for the face. It is not for the faint of heart it friggin hurts on certain areas, but if you are a person who must pluck daily this is fantastic and not so bad. It took me a little while to get used to it because i was breaking hairs a lot but man...you can go crazy with this thing. i just sit there rolling it all over my face and even my friends noticed how much cleaner it looked. Wonderful at removing unwanted hair once you get the hand of it, look on YouTube how to use if you are having difficulties. If not for the reviews I read about this product I highly doubt I would have purchased it. I have been struggling with facial hair for years, trying various products and often ended up shaving the upper lip and chin because I couldn't keep up with the growth. This little gizmo from Bellabe is amazing. It gets all the hair, even the most stubborn ones, most of the time. Once in a while I do have a lone hair, usually short and thick, that I have to tweeze. It is very quick, I usually use it while reading an email, (yes usually only one email because it is so quick and easy to use). I never use a mirror while using it and when I check the mirror later I find little if any hairs left I need to deal with. I like it so much I am going to order another one so I have one for my purse and one for home. I would recommend the Bellabe hair remover. Yes there is a little pain, not any more then tweezing. The bellabe is quicker removes more hair with less amount of work. You can do it while you are watching your favorite movie. My friend told me about this product and I'm so thankful she did. No more wasting money on waxes. It's very effective, much faster than plucking and it gets all the hairs, not just the coarser more noticeable ones. I like that the hairs take longer to grow back when they're pulled instead of shaved. As uncomfortable as the other reviewers suggest the first time you use it, but VERY effective for chin hair, especially those pesky ones you can't see without your glasses. Best hair removal item I have ever purchase. I was diagnosed with PCOS a couple years ago. Don�t get me wrong, it was painful. However, the outcome of results is worth the pain and the boost in confidence. I use to wax and pluck. This will be replacing all that. I got this a week ago and tried it immediately that night because I was afraid my upper lip would be red like it usually is after waxing or bleaching, etc. It took a couple twists for me to figure it out, but then... YOW! It found those lil hairs. I had also bought an epilator (An epilator is basically an electric razor that yanks out the hairs from the root) at the same time, so I had just finished using that on my legs. So pain-wise, I feel like they are in the same level: painful, yet bearable. My issue was that it made my eyes water and made me want to sneeze. The best thing about this little doo-dad is that my lip did NOT turn red after. That is a major plus in my book, because half the time I notice my mustache 5 minutes before I need to get out the door. I like this slinky-style torture device. I am making it my numero uno facial hair remover thingy. I have used a variety of tools in the past... tweezing, waxing, threading, bleach, etc, and this so far by far has been the best. So easy to use, a little pinch, but so is threading and tweezing. I did have a few small red bumps the first two weeks, but my skin quickly adjusted and I love that I can do it as often as needed, no calling for appointments, etc. Works great. I highly recommend. Came quickly and discreetly too! It works, once you figure out how to do it. You will know it is working when it all hurts like hell. Great on fine fuzzies, I will be saving a lot of money over booking face waxing appointments or buying vaniqa. I waited 2 months to write this review, and I have to say that this is one of the best things I have ever bought! Yes, it does hurt some (to me not much worse than tweezing) and at first it did make me break out. But as my skin got used to it I don't break out anymore. It pulls the hair quickly and makes my face smooth, which is everything I could want. I did deduct one star because I can't seem to get it to work at an angle under my chin. I have tried holding it all different ways but it still won't catch the hair. If anyone has a solution to this please let me know! But still I am very happy with this little spring, it's fantastic! I was skeptical but this thing works. It hurts a lot but it works. VERY GOOD ITEM, FAST! TAKES A FEW SECONDS TO USE. This works great! There are lots of reviews that said it hurts when using it but I didn�t have that problem. Wow! For a lady like me, this is great. I have a little more peach fuzz than most women and this thing really does the trick. It is easy to do while watching tv or waiting for the coffee to brew. While it is nowhere near painless, it is simple once you get the hang of it. Not to mention that it accomplishes so much more in the time it would take to go at it with tweezers or waxing. I am sold on this thing! I no longer need to use creams or pay for waxing! This product leaves my face feeling as smooth as silk (almost). The ripping of facial hair from the roots by the Bellabe is not a walk in the park, but the result is worth the discomfort. It's cheap, too. I will get one for my daughter, she has a hairy face too. A little painful but effective. With regular use I think I won�t have to wax my lip and chin. It works really well! Gets all the hair off and it doesn't come back thicker. The only problem is that it hurts so bad! The product mentions that the pain will lessen with time. It still hurts, but I just try to tough it out and do it quickly! This little monster definitely works. I am a hairy person, and get tired of doing the seek-and-destroy of every single hair that pops up on my face daily. It's pretty easy to use... and definitely pulls a lot. But, I still need to tweeze. This is a good bridge sort of device though. It's especially effective on those fine mustache hairs. Effective, and EXTREMELY UNPLEASANT. Maybe my upper lip is especially sensitive, but HOLY HERPADERP. I do it anyway, because I'm just that committed, haha. The rest of my face this doesn't hurt at all. I thought I could also use this to cover other surfaces, but have had little success there. Rolling it anyway but up is very awkward. This product does as advertised.... What they don't advertise is the pain inflicted is so intense you will pass it on to future generations like a unbreakable curse. Don't take that as a unhappy review. I love it, it grabbed every single hair out from the root and left my top lip smooth and for the first time in years cold & defenseless against the elements. I hate it but I love it. I will never wax my lip again. This is so easy. Not completely painless but well worth the effort. It takes all the hair off my upper lip and leaves it smooth and soft. Love this! What an amazing product! I am middle eastern and hair thick hair! This removes all of my facial hair without any problems love it! Rarely called to write a review (unless it is garbage) I HAVE to share how wonderful this thing it! I�ve loathed the trip to the salon every month for my thread appointment, $50/mo is a joke. This thing works!!! Yes it is painful on more delicate skin, but no more than threading, I�m already used to that. You can�t use on eyebrows, not precise enough, but for upper lip it is perfect! It was thorough and done in 5 minutes. I didn�t break out, it didn�t pinch my skin and it got all fine hairs/facial fuzz as well as stubborn ones. Hair does not grow back more coarse, the longer you use it, the less hair grows back- it�s a game changer!!!! Works pretty well, can take a few passes and you have to get used to the feeling but its not too bad. It definitely makes a quick job of removing unwanted peach fuzz and subtle facial hair. Great product! I never knew I had that much hair on my face. Easy to use, less painful.than waxing. Yes it hurts. Because it is pulling your hair out, like you want it too. It takes some getting used too, and I can't bear to do multiple areas at once but it does work! I did not experience any acne or breakouts like some others had mentioned in reviews. I have dark PCOS hair on my chin and jawline and it removes it SO FAST. It's pulling it out my the root, so its a quick sharp pain, but no extended redness. It hurts more than shaving yes, but the pulling out completely will make hair thinner and less noticeable. For women like me, who need to basically shave their face, this is a lifesaver! I could never pluck out hundreds of dark hairs....but now I can, in just a few minutes. Any type of hair removal that involves ripping the hair out is going to hurt. That's a given. After reading the reviews written for this product, I was pretty anxious about painful it was going to be. Honestly, it's just not that bad. It feels a lot like threading. The only part of my face that I felt was painful enough for me to switch back to waxing is a really small part of my upper lip right beneath the septum of my nose. We're talking less than one square inch of space. Other than that, the pain was tolerable and my skin was WAY less irritated afterwards than it would be if I had waxed instead. Does it hurt? Yes. It's tearing the hair out of your face. It's going to hurt no matter how you do it. Is it comparable to childbirth like many other reviewers have said? Not at all. I tried this product prior to buying it and found it to be amazing. It removes hair from my chin area which at my age is a big deal. I use it at least twice a week. I found that hair does not grow back as quickly as plucking it with a tweeezer. I would recommend it to anyone. This is the best thing I've used! Using tweezers takes too long and an epilator hurts too much on certain areas and leaves red spots. Of course this is not "painless" but it hurts the least on the upper lip and doesn't leave red, sore areas. It takes a few tries to figure out how to use it. My only complaint is that it's difficult to make it work at certain angles. This is a great product. I use medication for acne so waxing is not an option because it pulls off a layer of skin. So this allows me to remove my facial hair without irritating my skin. It's hurts so at first but after the first time you use it there is less hair and therefor less pain. I love it. So much faster and less expensive than any other method. 5 stars! Being a woman of a certain age that experiences overnight 'Cafeteria Lady' wild hairs appearing on my chin this facial hair remover is WONDERFUL. There is a slight pinch feeling when it locks onto a wild chin hair, but you can face the day without concern about appearing with "Cafeteria Lady" chin hairs when you use this product. Very happy with this purchase. As many other reviews mention, it is painful but just like waxing or plucking. I like this because I have several hairs that can be plucked at once rather than having to stand at a mirror getting each hair one at at time. Bellabe does irritate my sensitive skin, but alot less irritation than waxing or epilating, so I try to use it sparingly. I use it when I'm tweezing and it's faster & more effective than waxing because if it misses a few hairs I roll it over the area again. I don't wax anymore but kept the wax for nose hairs, because it is excellent for that and not slow torture like plucking them. Bellabe is not fun to use and does feel like I'm pulling the little hairs out of my face. It seems gentler than waxing, definitely less messy and time consuming. It's exactly like tweezing only getting many more hairs in one rolling pull. Bellabe can cause a breakout, but it doesn't if I use restraint, use it only where it's most needed, 1 or 2 rolls over, and not get overeager and pull out every bit of hair I can find. There is cleaning instructions for the Bellabe. I clean mine before I use it and use a toning acne product on my skin after. It's a great tool to have and I would recommend getting one, especially for when you need to pull hairs out in hurry. I love this tool! It doesnt hurt much if you have had a wax before. If not, this will hurt like hell.. This thing is amazing! I normally go every 6 weeks to get my lip waxed at a salon. I've been very busy lately and couldn't find a time to go, so I impulse bought the Bellabe Facial Hair Removal. It arrived on time and I couldn't wait to use it! Admittedly, it did hurt a little the first time but nowhere near getting waxed. I run it over my lip area every 3 to 4 days just to keep everything looking good and it does a great job of removing small, barely grown hair. 10/10 would buy again. I've already recommended this product to my mom and grandma. Works great on my VERY sensitive skin! I saw this years ago and regret not buying it then. I�m 26 but I�ve got the baby hairs and a handful that decide to grow in a lot darker on my lip and chin...attractive, I know, but I have my lineage to thank for that. I used to just pluck the bigger ones but I swear a few hours later, they�re back. Besides that, I�ve always been self conscious of the fuzz though it�s barely visible. This allowed me to get everything out within about 10 minutes! I exfoliated before and after, just in case but it�s been a few days later and no irritation. For those who are complaining...are you dense? It�s pulling out your hairs, of course it�s not going to feel grand. I really question those who leave reviews sometimes. 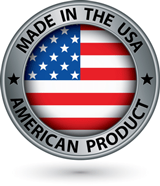 If you�re on the fence, go for it...this did exactly what it promised to. Other reviewers were not lying when they said it hurts, but it really works well... If you can stand getting threaded you can stand this. I tried it as soon as it arrived and it works wonderfully. I was able to use it without a mirror while watching a movie. I love it! Yes it hurts but it is sooo worth it! I have sensitive skin and this does not give me any bumps or marks. I am a little bit red right after I use it but the redness goes aways in minutes. I have tried so many products and this one is by far the most effective yet. I can use it anytime and don't even need a mirror to do so. Love it and highly recommend this product to anyone who wants to get rid of facial hair. P.S. This is not made for the rest of your body...only your face. Oh come on. This manually pulls hair out by the roots. Like any similar hair removal methods (waxing, threading, tweezing, epilation device, etc. ), of course it hurts. I imagine that there are skin anesthetic creams or ointments that can minimize the pain prior to use, but I'm reviewing this spring remover device. It removes my fine facial hair -- efficiently and effectively. This tool is a game changer. I grow thick dark hair on my chin and lip. I'm also a face picker, I could tweeze and pick for over an hour at a time if I were to forget to look at the clock. But with this tool, my obsessive picking time has been cut in half. It's seriously SUPER efficient. Why pull one when you can pull ten?!? Lol It takes a little bit to figure out how to use but once you have it, it's a super satisfying way to remove unwanted facial hair. This product works in that it does remove a lot of hair BUT if your skin is acne-prone or if you are particularly prone to folliculitis, I wouldn't recommend this product. I had a huge break out two days after I used it and two weeks later, I'm still trying to get my skin back under control. If you want to give it a try anyway, I recommend cleansing, toning, and moisturizing immediately after with products that don't contain any fatty oils in them. In regards to the hair removal, I would say the pain isn't too bad on the sides of the face (it's actually super satisfying to see all the hair removed...) but using it on the lip will definitely make your eyes water. If you're sensitive to pain, you might want to stick with the single blade razors.